HOW MANY KISSES GOOD NIGHT , How Many Eyes,How Many Noses, Fingers, Toes , Ears, Lips, Tummies, Teeth, Tongues, Hairs, Sheets, Beds, Pillows, Blankets and KISSES". Counting Book for Very Young Child. 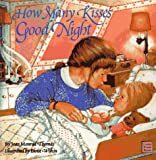 Questions in rhyme to ask a child at bedtime. For example: "How many eyes? How many noses? How many fingers? How many toeses?" About Jean Monrad Thomas (Author) : Jean Monrad Thomas is a published author of children's books. 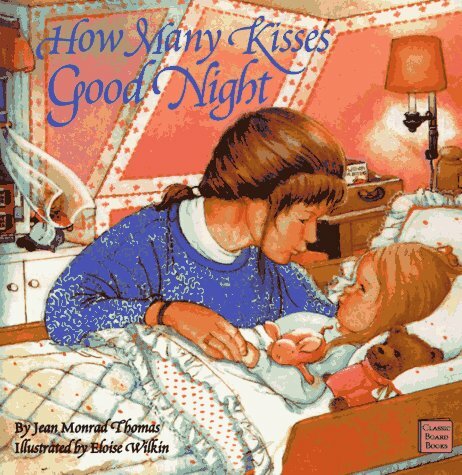 Published credits of Jean Monrad Thomas include A Child's Book of Hope, How Many Kisses Goodnight (Classic Board Books).